To extend our highest work efforts as a team to ensure exceptional results. To have an enthusiastic and positive approach to marketing and selling of real estate properties. Excel at resolving problems and working with people in a proactive, independent manner. Knowledge of current market conditions, and a successful sales record. 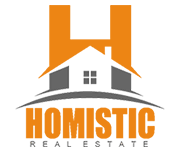 Homistic Real Estate, Inc. was established in 2006 on the East Side of Providence . In 2009 we had over 100 transactions in a single year. In 2010 Co-owner Leann D’Ettore was recognized as Realtor Magazines 30 under 30. Homistic Real Estate, Inc. is a fully licensed Massachusetts brokerage. In Southern Massachusetts, we specialize in residential property sales and buyer representation. Whether you’re buying a home or selling your home, you can be certain to receive hands-on service and professional expertise. Homistic Real Estate, Inc. has sold hundreds of distressed properties and is well versed when it comes to foreclosures, banked owed properties (REOs) and short-sales. Investment opportunities await and we can help you get there. From pre-sale to re-sale, we can help you successfully achieve your investment goals. Let Homistic Real Estate, Inc. lead you home. Buyer agent representation is a critical part of the home buying process. Our Realtors are highly trained professionals who will educate you and guide you every step of the way. Homistic Real Estate, Inc. utilizes publications such as Dupont Registry, The New York Times, various web-based advertising, and much more. Trust us with your prestigious property and expect nothing but the best service and expertise. We are the perfect choice for listing your property. Set up a personalized listing appointment to find out why we have the marketing edge in today’s real estate market.